One of the critical elements in reporting is parameter selection. During report creation it is essential to make sure that the proper parameters are added to the report to correctly filter on the data the users want to see. However, it doesn’t just stop there. To ensure user friendly reports it is also very important to make the parameter selection easy for users during report generation. 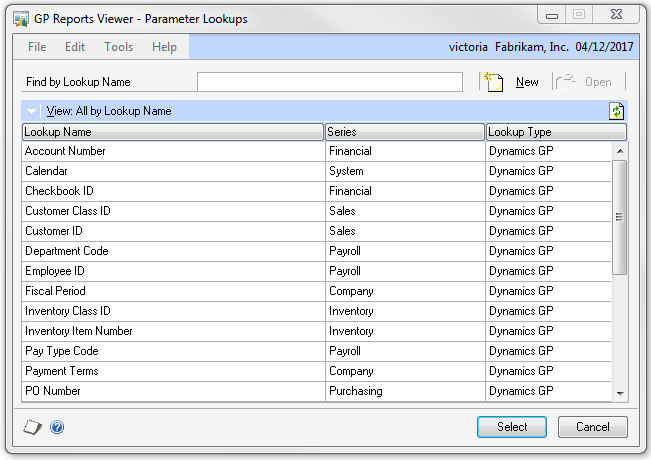 One way GP Reports Viewer aids in this task is by allowing for three different options for parameter lookups: Dynamics GP Lookups, Custom Static Lookups and Custom Dynamic Lookups. I will go over these three options below in more detail. Navigate to GP | Tools | GP Reports Viewer | Lookups. 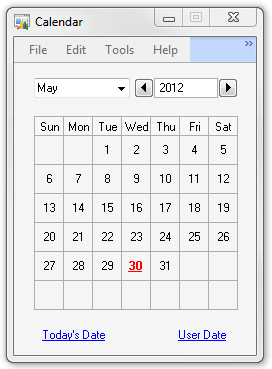 The Lookup ID will automatically populate with the next available number. Type in a Lookup Name. This is what you will see when assigning lookups to parameters on reports and what the users will see as the name of the lookup window. Choose a Lookup Series – this is simply for categorizing lookups, all lookups will be available on all reports. Select Static for Lookup Type. Enter column Display Headings and Types for your lookup – only the first one is required, you can leave the others blank. Obviously a Yes/No option is not something earth shattering, but it can be helpful so that users are not guessing at the format of the parameter (for example, should it be Y or Yes?) and is something quick and simple to set up. 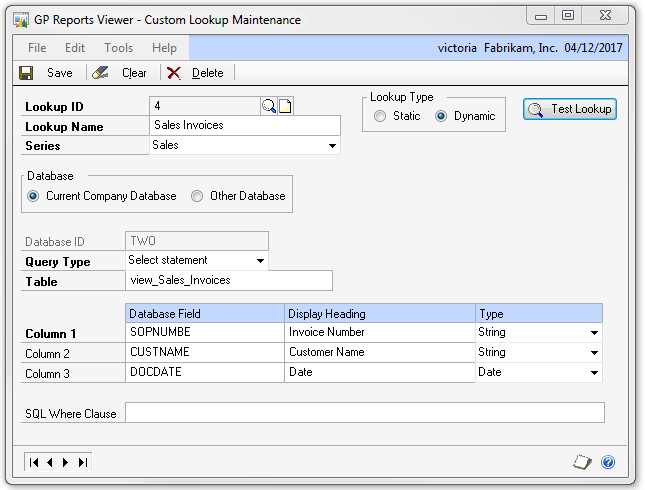 Now for the really cool option – with GP Reports Viewer you can create your own custom lookups that can be based on a SQL table, view or stored procedure. You can even point to data in a different database, it does not have to be the one that users are logged into. This option is often useful for setting up parameter choices where the data may change. Since this option is so robust, I would like to show two different examples of this. One is going to point directly to data in a table, another one will use a SQL view that is created specifically for this lookup. 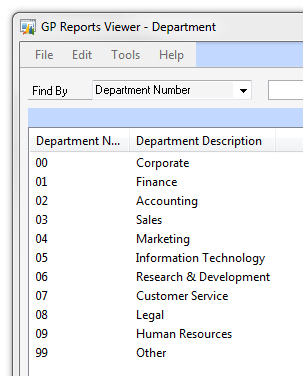 This example will create a parameter lookup with a list of departments in GP. Department in this case is the third segment of the chart of accounts and it is assumed that the department names are populated in the GL already. Select Dynamic for Lookup Type. 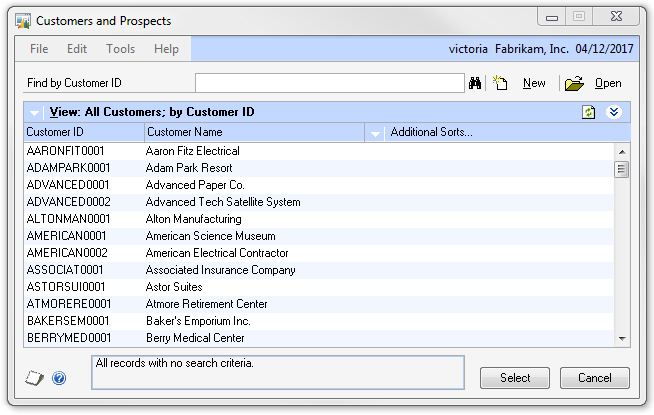 Under Database select Current Company Database. 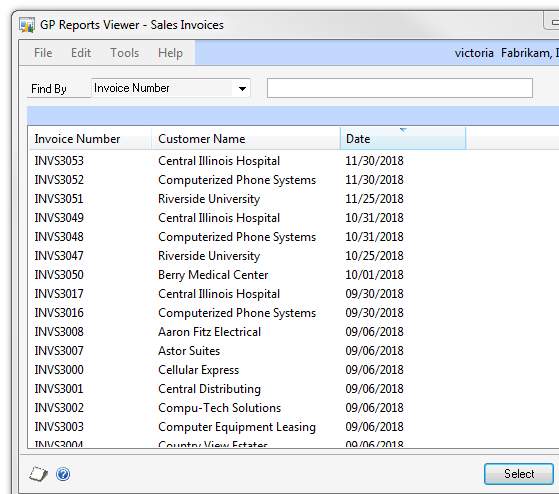 Now that you can create any lookups you need for your reports, you can make generating reports more user friendly by making sure each parameter on your GP Reports Viewer reports has a lookup. 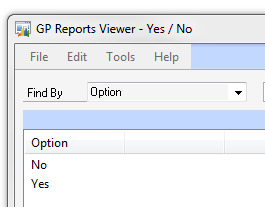 For more information about GP Reports Viewer, please take a look at the GP Reports Viewer demo video. Disclaimer: GP Reports Viewer is an add-on product for Dynamics GP that is created and sold by my company, Flexible Solutions. I may be slightly biased, but I think it is the best thing since sliced bread.